Legendary actor Amitabh Bachchan has pulled up his socks so as to not make a fool of himself before 'Brahmastra' co-stars and "these greats Ranbir (Kapoor) and Alia (Bhatt)." 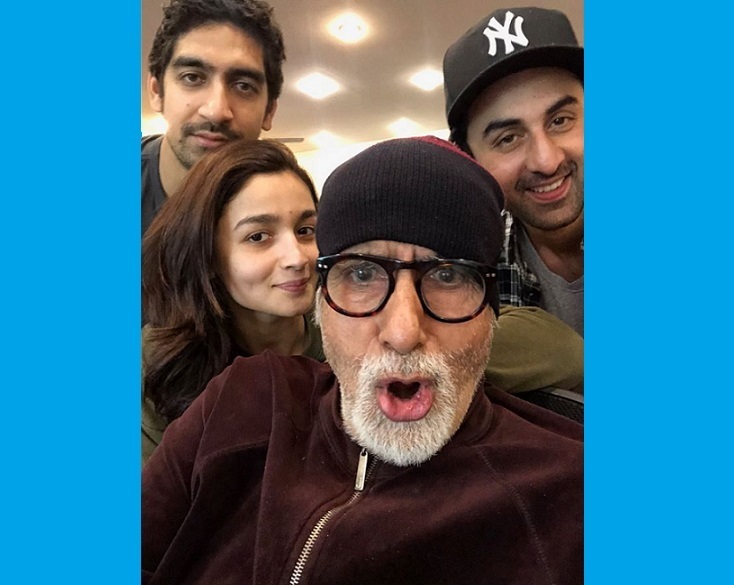 New Delhi: Legendary actor Amitabh Bachchan has pulled up his socks so as to not make a fool of himself before 'Brahmastra' co-stars and "these greats Ranbir Kapoor and Alia Bhatt." The 75-year-old, who, along with the cast and crew, is prepping up for the second schedule of the sci-fi drama, said he needs to "get the first day right tomorrow." On his blog, Big B wrote, "Alia and Ranbir and moi rehearsing .. and this is not our costume or look or anything near it .. got it .. fine ..we are just chilling and .. well .. rehearsing to get the first day right tomorrow .. tomorrow ..(sic)"
He concluded the blog saying, "Time for some back slapping .. ok GN .. need to learn my lines, before I make a fool of myself before these greats Ranbir and Alia.."